Home News New Avengers: Infinity War Thanos and Iron Spider Vynl Set Coming Soon! New Avengers: Infinity War Thanos and Iron Spider Vynl Set Coming Soon! 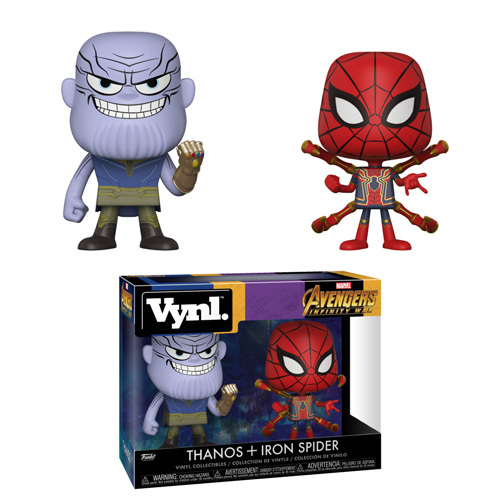 Funko has released previews of the new Avengers: Infinity War Thanos and Iron Spider Vynl Set. The new set will be released this Summer and is currently available for pre-order on EntertainmentEarth.com for $14.99 per set. Click on the link or photo below to pre-order the great new Marvel Vynl set. Previous articleNew The Witch Black Phillip Pop! Vinyl Coming Soon!